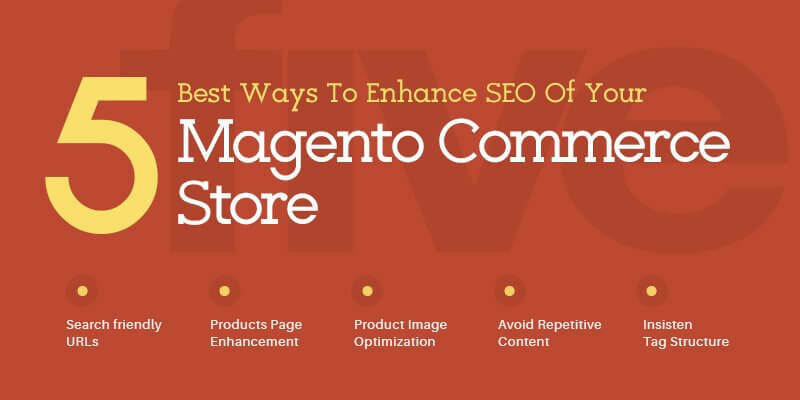 To ensure that your Magento online store’s SEO quotient is great and is captured by all search engines during every relevant search, here are a few simple and effective ways to follow. The basic step for optimizing a site is working on its configuration. From the admin panel, one can rewrite or modify the URLs of the web pages to make them user-friendly and search friendly by adding a few popular keywords. Magento-based sites have a separate URL option under which the users or owners of the site, besides rewriting, can even change URL settings to prevent them being stuffed with inappropriate keywords. Product pages function as a soul for eCommerce stores, and hence it is important to make the product pages SEO friendly. Firstly, modifications in each aspect of SEO including meta description, page title and URL are effective in optimizing each product category. Secondly, to make individual product pages prominent in search results and increase the CTR (Click through), metadata and SEO friendly titles with concise descriptions can be used. Apart from providing quality images for the products on the site, use of proper file names for each product image is vital. It becomes more convenient for shoppers to find products in the search box. Further, title and ALT tags on images provide the page information to all search engine spiders enhancing the visibility of products in the search engines. Search engines mostly have problems in identifying which page of the website is more relevant when similar types of content appear in more than one page. Thus, it’s all the more essential to make sure that every page of the site gets a unique content and can be accessed from the search engine. This means traffic will be directed to one particular page from the search engine which will eventually augment its rankings. One incredible yet easiest way to enhance SEO rankings of Magento powered stores is the creation of a persistent and basic tag structure for the product pages. For instance, using of H1 tags for Catalogue name and H3 for Product names under the Product Catalogue page will aid in gaining more visibility in popular search engines. If you are looking for a perfect eCommerce store for your business that is SEO friendly and can deliver great business results, our experienced Magento professionals can help you out. Be it for a fresh eCommerce store or for an already existing Magento store, we are always ready to help you out.